Steam client alerted it users in major parts about the recent amendments it made for taxes it implies during the purchase made. The minor change has principally affected ten countries as of now, and more to be altered later in the year according to steam. 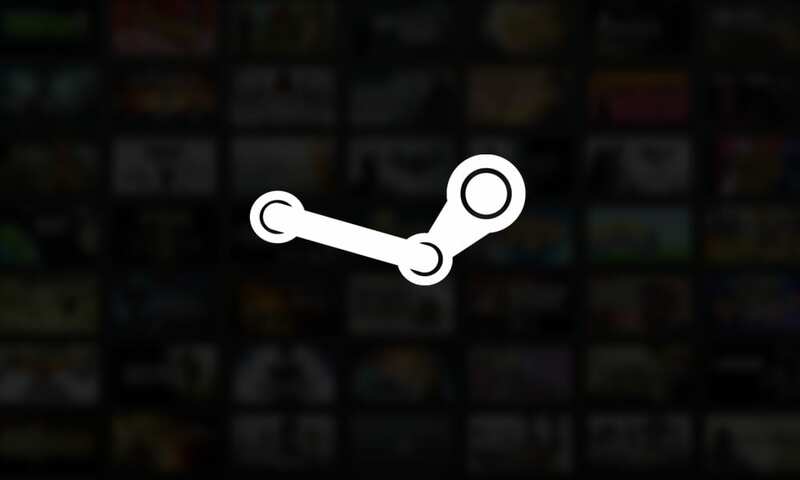 As the course of the tax jurisdictions, Steam has informed its users from Switzerland, South Korea, Japan, New Zealand, Iceland, South Africa, India, Serbia, Taiwan and Australia over the changes to be made during the purchase of any goods or services through steam. The new changes will be implied in the coming months. Through March, the purchase policy of Steam for users from these countries will be affected till July. The next set of countries which follows the tax policy amendment in the month of April, May, and July, are Serbia, Taiwan, and Australia, respectively. The calculations, however, will be utmost done on the backend and customers will be displayed the maximum retail price of the product after addition of taxes. Steam will make sure it markets the final price of the product at the storefront so as to not create any confusions in the mind of customers of further tax calculations. The Sales Tax, VAT or GST will be bifurcated at the bill desk before the payment is being made. Putting it in a perspective, if you come across the game, Counter Strike: Global Offensive being marketed at Rs. 575, it will be the final price you pay for the product. The taxation part will be later separated in the invoice prepared by Steam which will show, Product Price as Rs. 500 + further Rs. 75 taxes, adding it to the final retail price of Rs. 575. 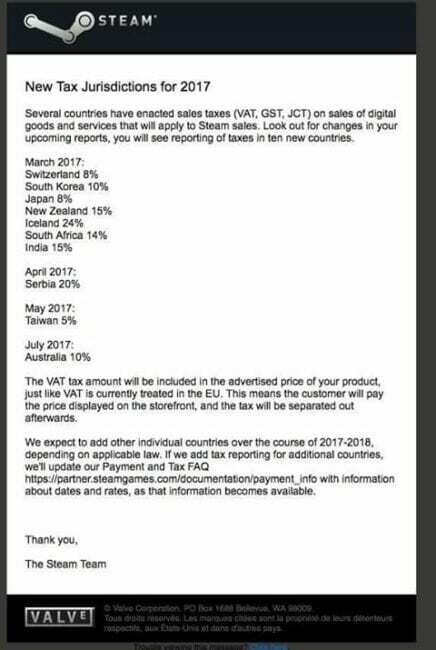 Steam also informs that they’ve further planned to add more countries to the list of taxable countries, citizens of whose chose to order through the platform in the current financial year. The thorough details of the taxation with the date of implementation and the rates applied is mentioned on the Steam documentation of payment information.